And with a simple click of my mouse, my four entries are on their way to McGreevy Pro Lab in Albany for printing. Once I receive them back, I will ship my entries to Des Moines for the Iowa State Fair’s annual photography competition. In the past, I’ve struggled in this competition – granted, it’s one of the most competitive state fair photo contests out there. Thousands of entries from around the nation. And although I finally earned my first ribbon in 2017 – for my bubble-shot in the tulips called What the Grasshopper Saw – it just means that I have to “up my game” if I want to earn another silk. I am allowed four entries to the Iowa State Fair. Two of my three entries are considered Competition Season 2018 submission “locks,” in that they’ll get displayed in many of my upcoming competitions. And one of my entries for Iowa this year … is a bit of a surprise. This is my photo of that diseased tree near the stream off I-787. You know, the one just before Exit 6 before you hit Albany proper. This is a big chance for me. The last time I entered an infrared picture in Iowa – my B&W film shot Farrell – it made it to the walls. Yeah, and it also earned a blue ribbon – but that was at Altamont. And that’s another story in and of itself. I’m seriously hoping that this surreal film shot gets the love it needs. 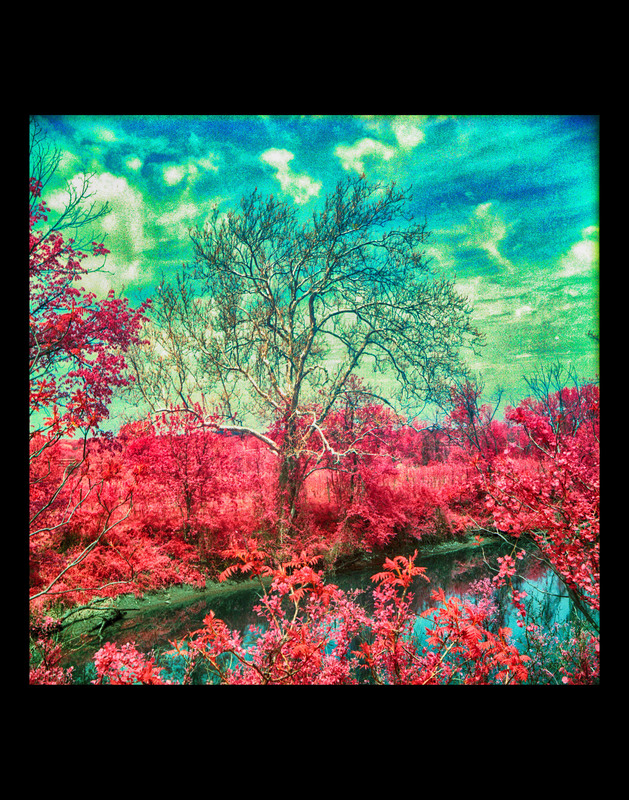 Plus, Im entering it in the “Infrared, Toned, Tinted and Solarized” fair category. 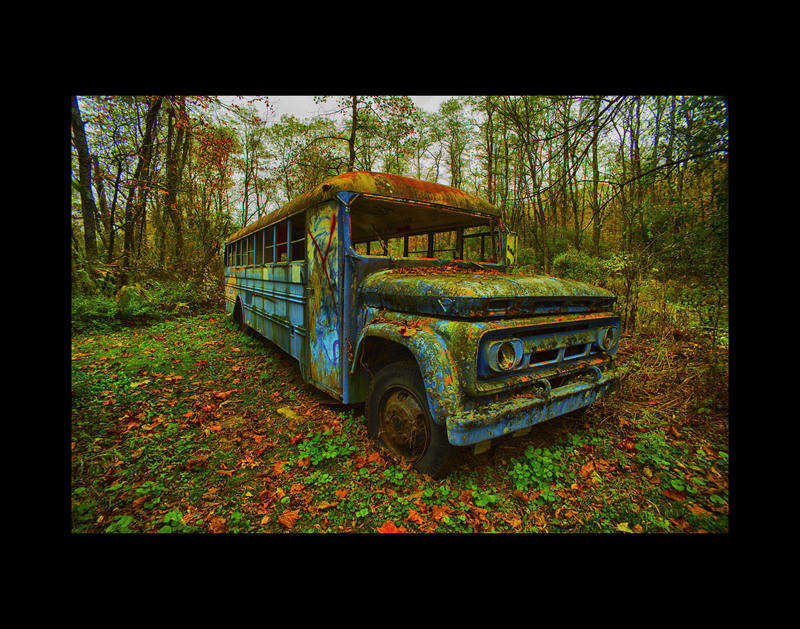 This is what happens when you go urban exploring in the Adirondack Mountains, and when you least expect it … you find an old school bus. And this school bus looks as if it was attacked by graffiti artists and a smidge of psychedelic vandalism. Just a smidge, mind you. I’m still undecided as to whether this picture will get some spins later in the year, but for now it’s getting a try in Iowa. I’m entering this in the “Planes, Trains and Automobiles” vehicle category. Tine Final Turn. Nikon Df camera, 1100mm mirror lens. Photo (c) Chuck Miller, all rights reserved. 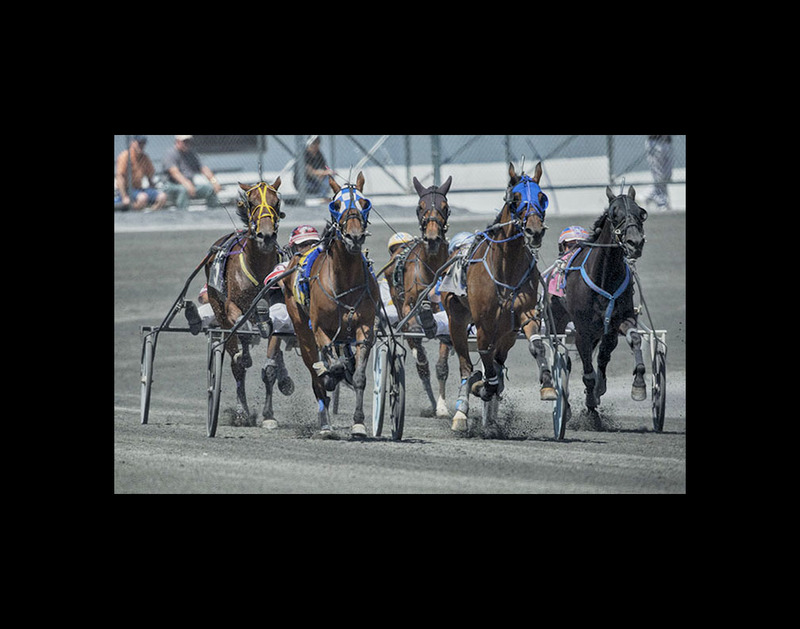 Hey, remember when I took that super-heavy mirror lens up to Saratoga Harness and got that shot of Mugshots Bro (he’s the horse in the checkered hood) coming from dead last to win by a nose? This was his race, and that’s him coming around the corner and fighting for the lead. I’m entering this image in the sports category. Let’s see how it goes. I’m bringing back an old friend. The AGFA Bridge Over Ansco Lake. 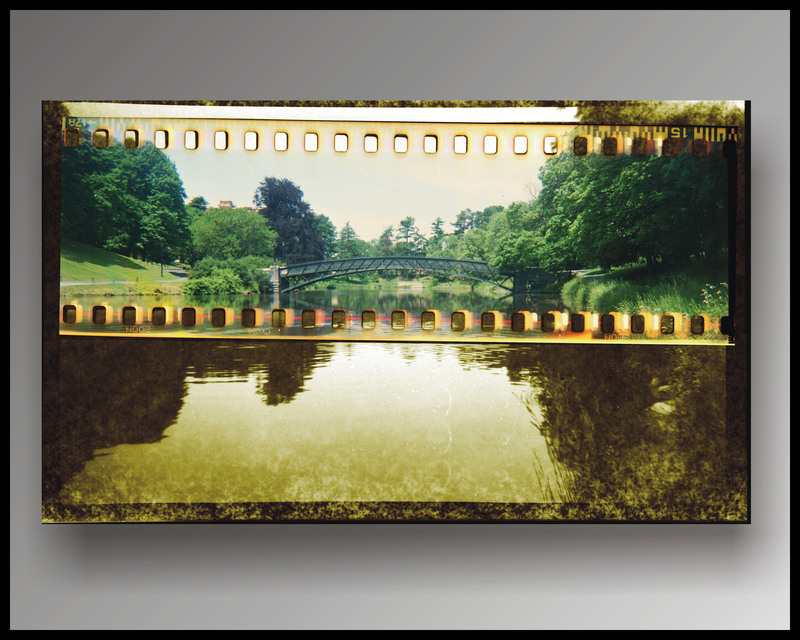 AGFA Chief camera, AGFA 200 color print film wrapped in Ansco 616 B&W film. Photo (c) Chuck Miller, all rights reserved. Holy splitfilm, Batman, Chuck’s entering AGFA-Ansco in this competition? Background for newer readers. This picture was a successful attempt to photograph something by using two rolls of film crammed in the same camera. The image picked up silk at Altamont, it claimed second place at the New York State Fair, and won my first-ever “Best in Show” at the Durham Fair. Granted, this was all way back years ago. But in searching for a fourth entry for my maximum allotment of submissions, I realized … I had never previously submitted AGFA-Ansco in Iowa. And technically … this was about as “Anything Goes” as I’ve ever achieved. Okay. These entries are locked. Now I just wait for McGreevy Pro Lab to produce my images, and we go from there. And if I don’t achieve some love in Iowa this year …. At least I can still take comfort in knowing I did get some silk and show last year in Des Moines. So it’s not completely untenable. Good luck! Looking forward to the results. I can never judge The Final Turn-type pics, maybe because they seem of a type. But I think the other three can win!